The amber coloured ale has a good balance of juicy malt and hop character on the nose. The flavour finishes with a balance of bitterness from toasted barley, leading to a long clean bitterness of English hops. 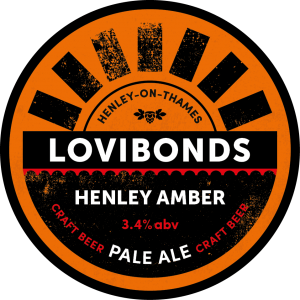 Henley has long been known for flavourful session beer and this 3.4% Pale Ale is no exception. We use Maris Otter as a base malt with a special blend of specialty malts to give this small beer a complex malt profile. Generous additions of 3 hop varieties give this beer exceptional hop character. Excellent beer paired with roasted or grilled meats – chicken, pork or beef. Will also pair well with grilled vegetables. Maris Otter Pale Malt, blend of 5 specialty malts..